If so, there could be areas of low self worth that need to be addressed within yourself. 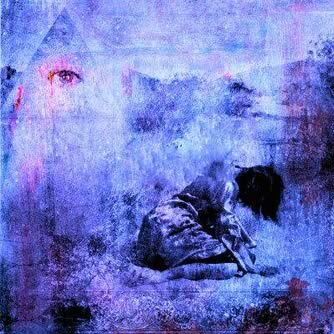 Getting this handled will help you to move beyond the patterns of self destructive behavior that are influencing your life on a subconscious level. In this article we are going to discuss the difference between self worth and self esteem and how your current level of self worth could be influencing the life you have presently created. In the next blog, we will add to this and discuss ways on how to increase your self worth in order to master your life and create the reality you wish to experience. 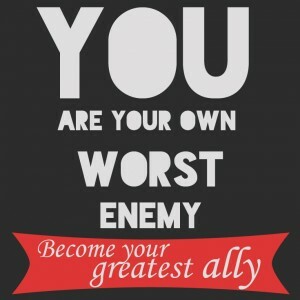 Self Worth VS Self Esteem – What’s the Difference? Many people view self worth and self esteem as the same thing. However, there are distinct differences between them and the ways they can impact your entire life. Knowing the differences between self worth and self esteem can bring forth a new outlook about yourself, what you feel you deserve in life, and how the choices you make can affect what you create in this world (whether good or bad). Self Worth is more or less relating to how much you respect yourself. This view is created by your past actions and whether or not you thought they were “good” or “bad”. The collection of past actions are internally tallied and then you subconsciously create a score card that provides you with an overall sense of your value, worth, goodness and deservedness. Since good and bad are relative terms, the only thing that determines how you feel about your past actions is your own deeper internal sense of what you feel is right or wrong. This is learned by the society you grew up in, your parents, family, friends, religion, schools, government and surrounding environments. Self worth is mostly an internal view of how you see yourself. However, at the deepest core, you are more than the collection of your past thoughts, body, emotions, and behaviors. You are the spirit or energy that is an expression of itself in the physical form, and this is the truth of your unconditional worth. But due to your own thoughts and emotions; your self worth is constantly changing depending upon this internal score card, the actions you chose to take in life and whether you felt that they were “good” or “bad”. Self Esteem on the other hand, relates to your own confidence in yourself. This confidence can be associated with your appearance, intelligence, or your abilities at performing certain tasks. Your self esteem has the ability to be high for one thing, yet swing to the low side for other things. It’s constantly changing depending on the circumstances you find yourself in at the time. Self esteem can be viewed as the external aspects of yourself. For example, I have high self esteem when playing guitar for people, yet my self esteem is low when it comes to dancing in front of people. As you can see, it’s the confidence held in your abilities and your appearance that gives you a reflection of your self esteem. Low Self Worth – What Do You Think You Deserve? Every human being starts off with the same amount of worth when they enter this life. However, as we live our life, the thoughts we think and the actions we take, either lower our inherent worthiness or keep it elevated. It’s our internal perception on whether we believe these actions were “good, loving, or selfless” or ”evil, hateful, or selfish” that determines whether it adds to or takes away from the score card. People do NOT get what they deserve, they simply get exactly what they “think” they deserve. This is in fact a huge eye opener, because it’s our beliefs that determine how much good we’re able to allow into our life. 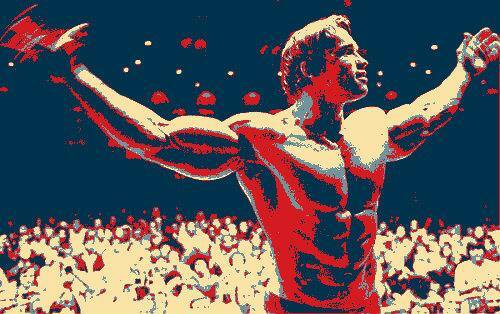 Arnold Schwarzenegger believed he deserved to be a champion and then he became one! How good can you stand it? Do you feel worthy of all that life has to offer? Do you feel you deserve a loving, respectful partner? These questions may have two different answers depending on if it’s your conscious or subconscious mind answering the questions. But even at the conscious level, at what point do things start to feel “too good” to be true and it starts to make you feel uncomfortable? By starting to realize your own worth as a human being, you open up the door to show yourself more respect, which in turn can influence others to treat you with more respect as well. The more you open these doors to self-respect, the more influence it has on the choices you make, the people you hang out with, the actions you take, and the amount of self-sabotage you inflict upon yourself. When you move into the light and become an awakened warrior that knows your own worth, you start to remove the resistance holding you back and bring with it more constructive choices. This new sense of deservedness can help propel you on your way to greater success. Deep down inside you have an “internal score card” that constantly tallies all of the “good” and “bad” things you have done in your life. This score card is subconsciously accessed to determine your overall sense of self worth. The problem is that “good” and “bad” are more or less relative terms determined by the society in which you were raised. So what actually creates your overall score is what you were taught about “right and wrong” when growing up. As a child, when you were bad you got punished for it, when you were good you got praise or rewards. It was this moral code you were given in these early years of your life that sets the foundation for how this “internal” score card is calculated. You can see this more fully in those you deem as “bad” people, yet who have acquired huge amounts of worldly success. If they truly feel what they have done is “good”, then their score card will reflect that regardless of whether or not the other people observing them feel otherwise. So in their eyes, their success was something they deserved. On the flip side, those that are often the most giving and loving can sometimes have the lowest levels of self worth. This is due to their own view point and high ideals on what makes a person “good”. Each little act may be marked on their scorecard as a bad behavior, even if others might NOT consider it as such. Yet as these individuals begin to recognize this, and come to the realization that they are in fact a “good” person, then waves of opportunities will start making more frequent appearances in their lives. Have you ever experienced a time, when everything was going your way… then all of a sudden, something happens which crushes the accomplishments you’ve been working so hard to achieve? Saving up money, then all of a sudden your car breaks down and you end up spending all of your savings fixing it. Having to quit school because you need to work more because you are in debt from buying too many useless items. Finding yourself in destructive relationships with people that mistreat you. Getting addicted to drugs, alcohol or tobacco. Not taking care of your health and finding yourself with loads of doctor bills and tons of medications that you have to take. The point is that you could be self-sabotaging yourself without even realizing it. Most of the time, this self-sabotage comes about because on a subconscious level you do NOT feel worthy of the success you are experiencing. You manifest these problems to bring you back to the comfortable level where you feel you deserve to be. This is know as a set point. Sometimes you even choose to do stupid things even though someone advises against it. You ignore the warning that was given and choose to make make the wrong choice even though you had this guidance telling you NOT to. This could be as simple as continuing to buy unnecessary items and put yourself into debt when your financial advisor told you to cut back on expenses. Or maybe one of your friends knows a person you are getting involved with and warns you about the type of person they are. Informs you that they are negative, abusive or has some other negative trait that would bring you down. However, you choose to ignore their advice only to later wish you would have listened to what they warned you about. As you can see, this form of self-sabotage is a subtle way that you inflict a feeling of unworthiness upon yourself because you do NOT realize that you are worthy of the goodness that life has to offer you. When you see these self inflicting problems starting to manifest into your life, it’s best to start working at removing your sense of low self worth. That way you feel more deserving for all the great things that life has to offer you, without having the need to sabotage your own efforts at living an awesome life. 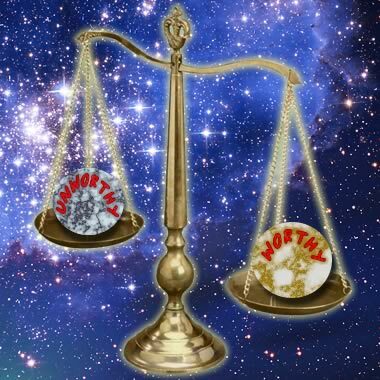 Here we stand at the crossroads of worthiness and unworthiness, which way do you go? This is entirely up to you, for in the eyes of the universe, you are just as worthy as any other human being. Whatever it is that you want to accomplish; If you want to be a rock-star, teacher, scientist, athlete, or millionaire it’s possible with the right sense of worthiness, mindset, skills and plans to get you there. Low self worth is the first area that you need to address in order to accomplish your goals and dreams in this world. It’s what makes it all possible. Now that you have an understanding of the differences between self-esteem and self-worth, in the next post we will discuss tips for increasing self worth. The end goal is to rate yourself at 100% on the internal score card. Once you reach that level, you open yourself up to all the great things that this world has to offer. well said Cory! I definitely enjoyed reading this!!! Very inspiring ??? ?